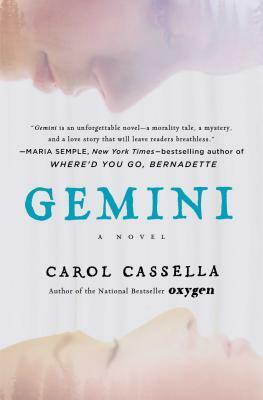 Gemini (Paperback) | Eagle Harbor Book Co.
Carol Cassella has done it again! I could not put down this taut medical mystery with bittersweet love stories at the core. When a Jane Doe hit-and-run victim, found by the side of the road on the Olympic Peninsula, is flown to a Seattle hospital after suffering a stroke in surgery, ICU physician Charlotte tries to figure out what went wrong, and why no one has come forward to claim the gravely injured woman. Her efforts are twinned with the back story, having a twist, on how the woman ended up there. The resolution, both sad and hopeful, felt just right. Bravo! "Gemini is an unforgettable novel--a morality tale, a mystery, and a love story that will leave readers breathless" (Maria Semple, New York Times bestselling author of Where'd You Go, Bernadette). When the skinny kid from the city first arrives in her Pacific Northwest hometown, Raney doesn't quite know what to make of him. Yet her intense dislike of the know-it-all bookworm softens as Bo latches on to Raney, eager to learn about the Washington island he's been sent for the summer. Decades later Dr. Charlotte Reese finds herself fighting to keep an unconscious ICU patient stable while also unwrapping the mystery of the unconscious woman, the victim of a hit-and-run. Consumed by questions about the woman's identity, Charlotte enlists Eric, her journalist boyfriend, to investigate. Their search for answers brings them to heartrending truths about Jane Doe―and themselves. In beautiful interwoven storytelling, master of medical drama Carol Cassella presents two women--lifetimes apart--who face the inescapable forces shaping their lives. Filled with stunning medical detail and set against the breathtaking backdrop of the Pacific Northwest, Gemini is a vivid novel of moral complexity and emotional depth that "is just what the doctor ordered" (People).